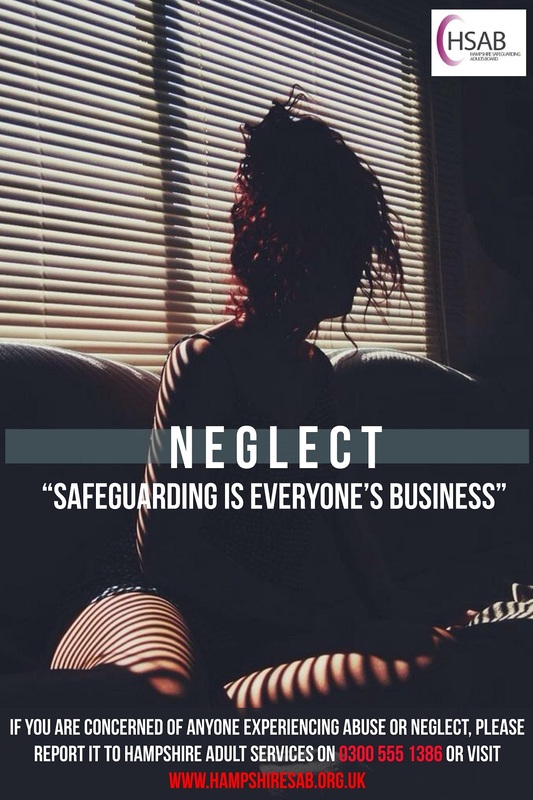 In this section you can find a wide range of information designed to raise awareness of abuse and the different forms this may take. As well as leaflets letting you know how to get help, this section also contains information about a number schemes designed to support people to keep safe. 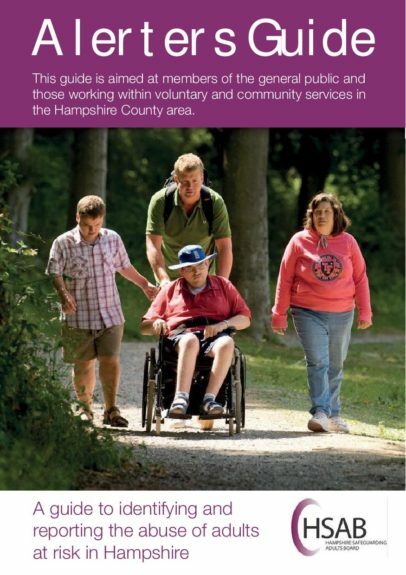 Connect to Support Hampshire is an online information and advice guide and directory of services for adult residents in Hampshire to find information, advice and services to manage their own care and wellbeing. 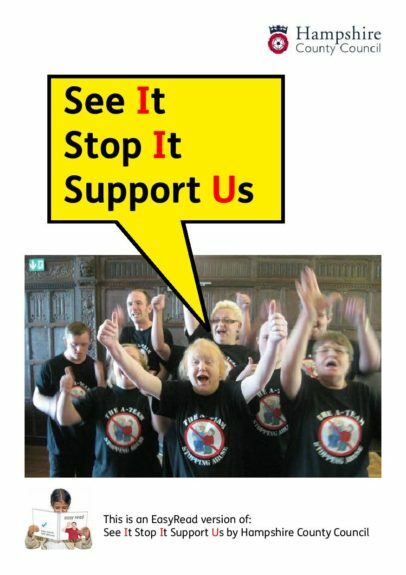 You can find out about local groups, activities and services within your community as well as formal care provision. 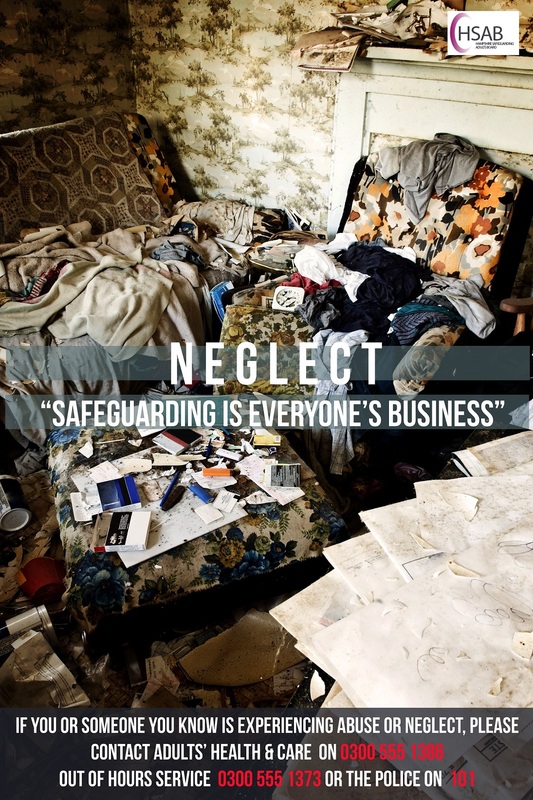 Lack of self-care: in personal hygiene, in adhering to daily needs, in refusal of essential care or necessary medical treatment. Lack of care of the living environment: hoarding, squalor and infestation. A quick guide for alerters/referrers who have disclosure or expression of concern. Using a Buy with Confidence approved member is the best way to ensure a legal, honest and fair service if you need work doing around your home. The NTS Scams Team are currently focussing on establishing a partnership with the Association of Directors of Adult Social Services (ADASS) to engage at a national level to improve local partnerships and operational delivery. 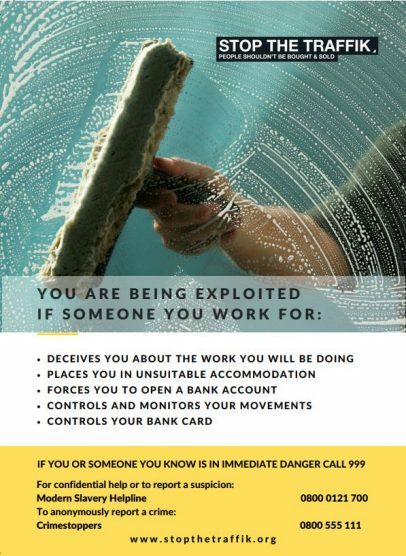 Helping to raise awareness of abuse and improve safeguarding practices, ADASS, in partnership with the Local Government Association, Adult Principal Social Worker Network and National Trading Standards, has published guidance on financial abuse and scams, for Directors and people working in social care. In 2015, a Cross-Party Review of Fundraising Regulation recommended that a service should be set up for members of the public to control the nature and frequency of charity communications that they receive. The Fundraising Preference Service (FPS) has now been launched to ensure that people can easily manage these communications. Further information and leaflets regarding the FPS and the link to their website are available below. The Direct Access Line reduces the amount of time you have to wait to speak with a call-taker. The person who answers your call will already have an understanding of your or your carer’s background. You can register important details and information with us in confidence, such as your next-of-kin, which may help us in an emergency. 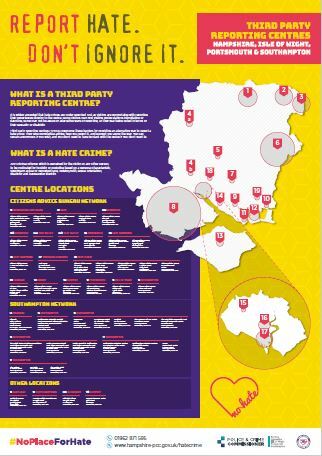 A guide has been created jointly by Tell MAMA and Community Security Trust regarding Hate Crime. 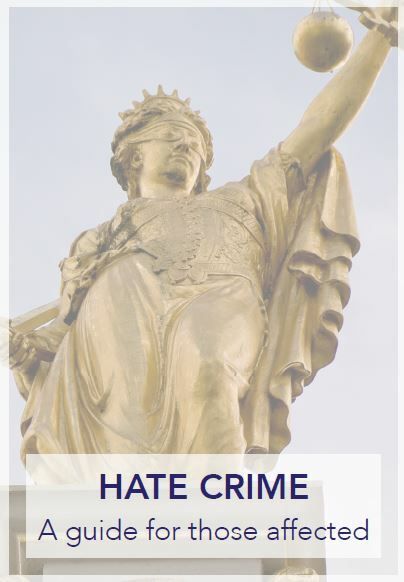 The guide should be used by anybody who has suffered any kind of hate crime, which can occur due to race, religion, sexuality, age, disability, gender or any other characteristic. The Mailing Preference Service (MPS) is a free service set up 20 years ago and funded by the direct mail industry to enable consumers to have their names and home addresses in the UK removed from lists used by the industry. It is actively supported by the Royal Mail and all directly involved trade associations and fully supported by The Information Commissioners Office. The MPS Consumer File is a list of names and addresses of consumers who have informed the service they wish to limit the amount of direct mail they receive. The use of the Consumer File by list-owners and users is a requirement of the British Code of Advertising, Sales Promotion and Direct Marketing administered by the Advertising Standards Authority. It is also a condition under the Code of Practice of the Direct Marketing Association. Registration with the MPS will prevent the receipt of unsolicited direct mailings sent from member companies of the Direct Marketing Association and we will take steps to prevent the receipt of unsolicited direct mailings from companies which are non members. It will not stop mail that has been sent from overseas, un-addressed material or mail addressed to The Occupier. You can expect to continue to receive mailings from companies with whom you have done business in the past. You may also receive mailings from small, local companies. If you wish these mailings to be stopped, you must notify these companies directly. It will take up to 4 months for the Service to have full effect although you should notice a reduction in mail during this period. Registering with the MPS is FREE. Click below to find out more about this service and how it can help protects against unsolicited direct mailings. Mate crime occurs when a person is harmed or taken advantage of by someone they thought was their friend. Mate Crime can become a very serious form of abuse. In some cases victims of Mate Crime have been badly harmed or even killed. Surveys indicate that people with disabilities can often become the targets of this form of exploitation. 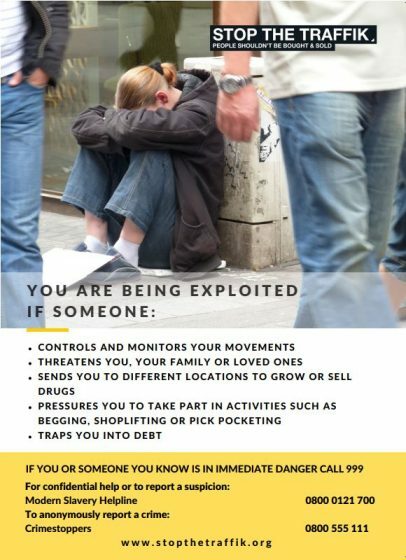 Theft/financial abuse – The abuser might demand or ask to be lent money and then not pay it back. The perpetrator might mis-use the property of the vulnerable adult. Physical assault/abuse – the abuser might hurt or injure the vulnerable adult. Harassment or emotional abuse – the abuser might manipulate, mis-lead and make the person feel worthless. Sexual assault/abuse – the abuser might harm or take advantage of the person sexually. 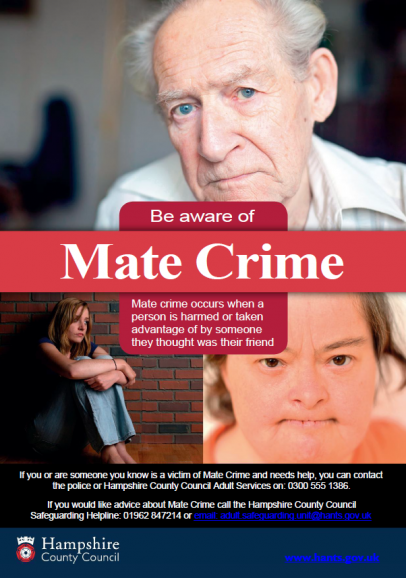 What to do if you think you or someone you know is a victim of Mate Crime? 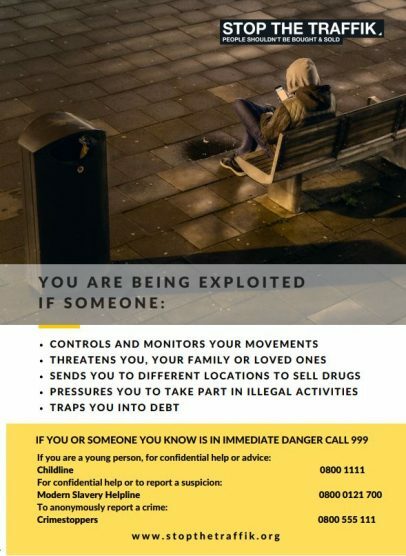 Contact the police or Hampshire County Council Adult Services on 0300 555 1386. No Cold Calling Zones help combat the problem of doorstep crime. They can deter unscrupulous cold callers from approaching people living in the zones, but more importantly, they can give people the confidence to say “No”. Whilst the zones do not ban cold callers or create exclusion zones, they can be useful in dealing with any unwelcome cold callers. The Safer Places scheme aims to provide vulnerable people, and particularly those with a learning disability, with a safe place to go to where help can be summoned if they are feeling scared or upset while out on their own in the community. 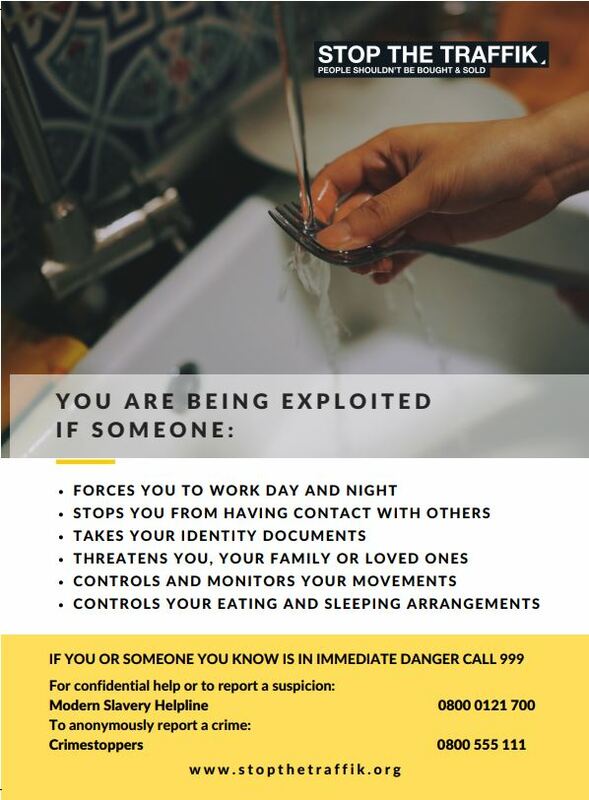 Hampshire is a safe place to live in and visit but unfortunately, sometimes, vulnerable people might be victims of bullying or harassment when they go out. 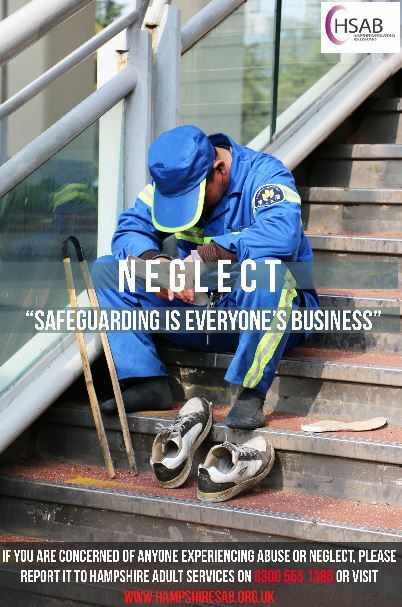 There might also be occasions when they become lost or separated from their carer or simply disorientated. 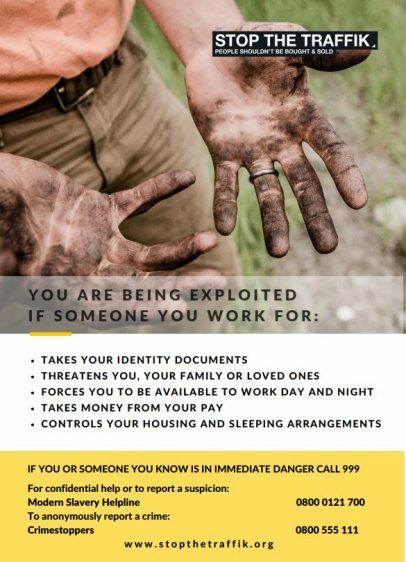 Vulnerable people can request a card where they can write their name and the phone number of their trusted person(s) from their local co-ordinator (below). 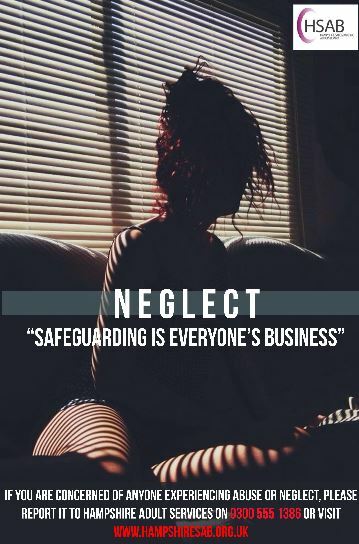 They carry this card with them and if needed, they can show this card to the Safe Place staff who will make the phone call for them to someone they trust, who will either come and collect them or advise them on what they need to do. Over 310,000 households in the UK use illegal money lenders every year. 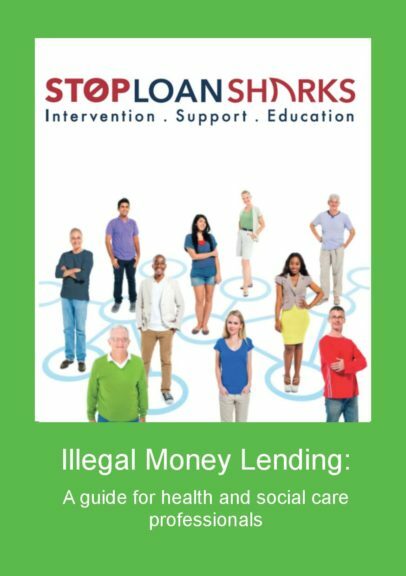 Unauthorised lenders, or loan sharks as they are more commonly known in the UK operate a money lending business without permission from the Financial Conduct Authority and are acting illegally. The guide is to aid Health and Social Care Professionals. 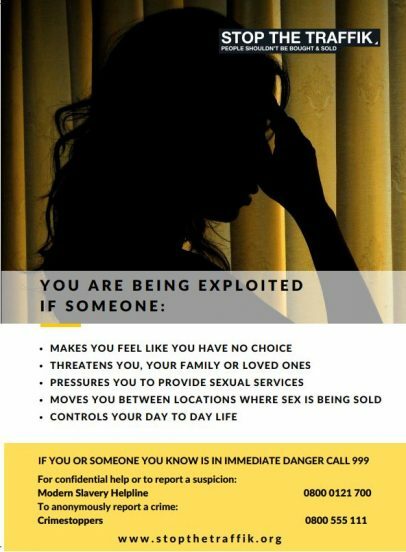 Below are a selection of resources from Stop the Traffik. The Telephone Preference Service (TPS) is a free service. It is the official central opt out register on which you can record your preference not to receive unsolicited sales or marketing calls. 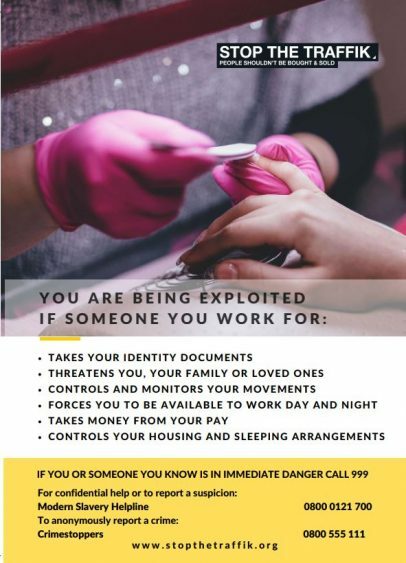 It is a legal requirement that all organisations (including charities, voluntary organisations and political parties) do not make such calls to numbers registered on the TPS unless they have your consent to do so. Registration is FREE. Click below to find out more about this service and how it can help protects against unsolicited marketing calls.